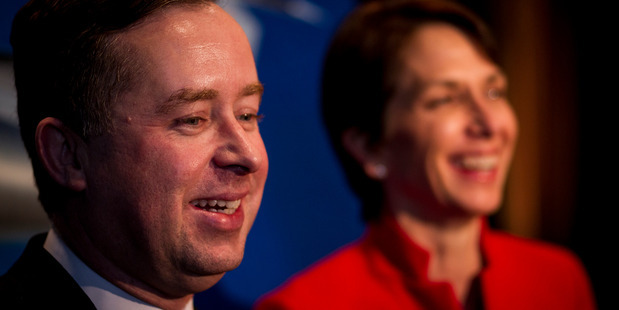 Alan Joyce has been at the centre of what has been described as the biggest turnaround in Australian corporate history. And as he nears eight years as chief executive of Qantas, Joyce characteristically says he had very little doubt the airline could pull it off. From a A$2.8 billion loss in 2013-14, the airline reported statutory net profit after tax of A$688 million for the first six months of this year. Qantas is now in a position to return close to A$1 billion to shareholders this year. This from an airline which faced worker outrage when it grounded its fleet during a high-stakes industrial battle in 2011, whose value plunged by more than A$1 billion after a 2012 profit downgrade, leaving it a takeover target, and is in the midst of laying off 5000 workers to cut costs. In the dark financial days, Joyce was a target for politicians, and a public petition called on him to resign. In Auckland this week to talk to New Zealand company directors about running a volatile business, Joyce says, with a fair degree of understatement: "There's been a lot of positive and a lot of tough times." Like Air New Zealand in this country, 96-year-old Qantas is embedded deep in the Australian psyche. Most Aussies feel a deep sense of ownership of the Red Roo and anyone who runs it is under minute scrutiny and intense pressure. But Joyce has a thick hide. "I remember doing an interview on Australian TV and we had two commentators who had done a poll - 90 per cent said I should resign and they asked my reaction." His reply was blunt: "It's not a popularity contest." Joyce says what mattered to him was whether the board and shareholders thought the airline was on track. They did, and Qantas stuck with it. 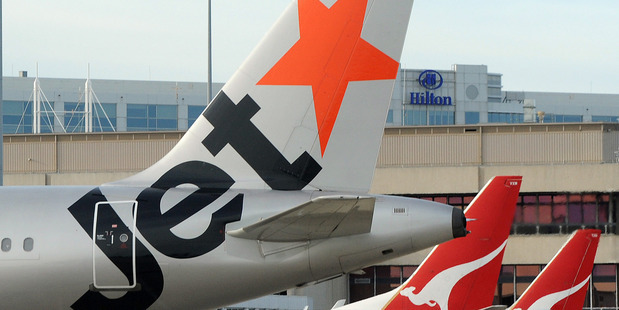 One of those strategies is to solidify its presence in New Zealand, largely through its budget offshoot, Jetstar, which was set up under Joyce and first flew in Australia from Newcastle to Melbourne in 2003. Jetstar, with its distinctive orange livery, has been flying across the Tasman since 2005, on main trunk routes since 2009 and now into the heartland on regional routes. Those routes now feed into a growing international network Qantas has forged through partnerships with global giants Emirates, China Eastern and American Airlines. The better Qantas is, the better Air New Zealand is - the consumer in New Zealand wins and that's great for everyone. It means Kiwis can fly on a Qantas ticket from Dunedin to Dubai and on to Dublin aboard partner Emirates, and from late June, Nelson to New Orleans on American.In addition to providing cut-rate fares to leisure travellers, Joyce says that to be truly competitive in New Zealand, Qantas needs to offer a network that can appeal to corporate and government accounts (which will be up for tender later this year), as well as looking after the travel trade. This was the rationale for the regional operation, the domestic operation and an international operation - which needs to have a transpacific component. "We were clearly, in some parts of that, not competitive," he says. "Now we have all components of it." That's why Qantas is refreshing its 570,000-member frequent flyer programme here - generous and popular with the corporate market when Qantas flew main trunk routes in this country - which is another way of attacking Air New Zealand in its home patch, where it commands 80 per cent of the domestic market.From a working class family in Dublin, Joyce gained a Masters degree in mathematics from prestigious Trinity College and started his aviation career at Aer Lingus, where he was involved in setting up its low-cost arm.In 1996 he took a job at Ansett, a well-liked Australian icon but with high costs and a jumbled fleet. It collapsed five years later. It was here that Joyce came into contact with Air New Zealand, which was moving towards ownership of the struggling airline. As noted in Sydney journalist Matt O'Sullivan's book Mayday, which details Qantas' hard financial landing, Joyce and other executives were sidelined by Air New Zealand bosses. Joyce became part of the exodus from Ansett to Qantas and was escorted off the Ansett premises by a security guard when he told his bosses he was leaving. Whether that has left hard feelings is hard to judge, for the relationship with Air New Zealand appears straightforward - on the surface at least. Not all airlines are benefiting from lower fuel. Some got their hedging wrong. Qantas wasn't one of them. This may look like luck to people outside the industry but it actually comes down to good management. Keen competitors, respect for each other, jokey Aussie versus Kiwi publicity stunts and cordial relations at the top level - he will have dinner with Air New Zealand chief executive Christopher Luxon if there's an opportunity. But beneath all that is a cut-throat rivalry for a growing, but ultimately finite, number of travellers, and Air New Zealand marketing campaigns that cut a little deeper as they target Qantas and Jetstar. In Auckland, Joyce is chatty but diplomatic. "Both [Air NZ and Qantas] are good airlines, have their traditions and brands and a reputation for winning," he says. "The better Qantas is, the better Air New Zealand is - the consumer in New Zealand wins and that's great for everyone." Luxon has repeated a line (based on the All Blacks' success at home against the Wallabies) that New Zealand doesn't lose to Australia at home. Joyce has a different take on that, pointing out that most of the 1500-strong Qantas group workforce in this country are New Zealanders, so if his airline does score a win here, it's Kiwis who are doing the winning. His ability to stay on message was apparent during a sidelines meeting with the Herald at an International Air Transport Association gathering in Cape Town in 2013. As the airline was heading for a A$2.8 billion loss, Joyce was unrelentingly optimistic about its prospects. And sure enough, when the grim result was announced the next year, the headline read: "Qantas upbeat despite record loss." Prescient maybe, confident certainly, but don't dare overemphasise luck, especially when it comes to the collapse in fuel prices. After the airline's strong full-year result last year, Qantas responded strongly to a Sydney Morning Herald editorial that said a "great deal of luck fuelled Qantas' reversal". The airline publicly responded to what it described as a "begrudging" acknowledgement of its turnaround, saying cheaper fuel helped the A$557 million profit - but the Qantas transformation programme contributed much more. "Not all airlines are benefiting from lower fuel. Some got their hedging wrong. Qantas wasn't one of them. This may look like luck to people outside the industry but it actually comes down to good management," said the airline. This week Joyce wasn't talking luck or fuel, but concentrating on growth and the transformation programme unveiled in 2014, aiming to save A$2 billion by cutting 5000 jobs, deferring the purchase or selling 50 aircraft, cutting A$1 billion in capital expenditure and freezing wages. The year before, to continental Europe we carried 400,000 passengers -- this year it will be 1.6 million passengers. Joyce says the turnaround has been especially dramatic in the international business - from a half billion dollar loss two years ago to a A$200 million profit in the first half of this year.Not so long ago, there were doubts about whether the international business would even survive but it is now growing by 10 per cent a year. There are new services from Brisbane to Christchurch and to Wellington, and seasonal Perth-Auckland flights. Joyce says the transformation has delivered A$1.4 billion in savings to date, with more than A$800 million of that from the international business. "It's made routes that we couldn't make money on profitable for us. We've re-entered markets like San Fancisco that we're now making money on and that's a big change from where we were a few years ago." The 2012 Emirates revenue-sharing partnership was seen as a "huge risk" but it was working because the Dubai-based carrier's extensive European network meant a huge surge in passengers. "The year before, to continental Europe we carried 400,000 passengers - this year it will be 1.6 million passengers," Joyce says. Qantas Group CEO Alan Joyce with Jetstar Group CEO Jayne Hrdlicka. Qantas has also forged a bond with China Eastern, offering what he says is even greater potential given the upsurge in Chinese tourists to more than 1 million visiting Australia.Meanwhile, Qantas' deepening relationship with US carrier American is allowing it to fly to Sydney and, from June 23, to Auckland, bringing what Joyce says is much needed competition. But sacking thousands of people was tough. "You never want to be in the business of being in the tough position of making people redundant but at the end of the day that allowed Qantas to re-baseline itself and to grow again." Unions have a different view. In a paper, The Qantas Effect, Australia's Transport Workers Union says the airline is hiring low-paid part-timers and casual workers. "As the market leader Qantas is creating an environment where other airlines and companies that service them are following them in a race to the bottom on workers' wages and conditions." As the market leader Qantas is creating an environment where other airlines and companies that service them are following them in a race to the bottom on workers' wages and conditions. But one former Qantas staffer here says Joyce was highly regarded by New Zealand workers, and Joyce says engagement among 30,000 Qantas employees is running high. And the savings meant the airline had cut its costs from around 40 per cent higher than Virgin Australia to about 10 per cent. The goal is to reach 5 per cent higher than Virgin, the airline it battled in a bitter and costly war for domestic dominance that ended in an uneasy truce in May 2014. Qantas was furious at hundreds of millions of dollars of foreign capital (from Virgin shareholders Air NZ, Etihad and Singapore Airlines) being pumped into its rival. Despite that, it is Qantas that has emerged from the capacity and lounge-building war with a stronger balance sheet than Virgin. One spinoff has been the likely exit of Air New Zealand from its 26 per cent stake in Virgin, built up to consolidate Air NZ's presence in the Australian domestic market. 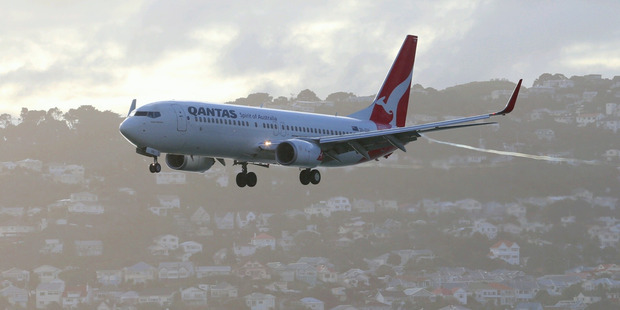 Publicly, Qantas is playing a straight bat but there is doubtless some satisfaction that its New Zealand rival has again found an equity investment across the Tasman tough going. "We will let Air New Zealand sort out what they want to do - it's their call about where they put their money and what they regard as a good investment," says Joyce. And there's also the prospect of Jetstar expanding further into Air New Zealand's back yard.Last December Jetstar launched regional flights and now flies to Napier, New Plymouth, Palmerston North and Nelson. "When the time is right we'll be approaching [other centres] and giving them the appropriate level of service but you need to bed down what you have and build the foundation," says Joyce. He calls the response to the regional services "phenomenal": planes are 80 per cent full and punctuality is improving after a rough start. "That performance has been exceptionally good. It's well ahead of their business case." Jetstar is also expanding its transtasman operation, with a daily winter evening service between Melbourne and Queenstown during the ski season. Travel agents love airlines that are growing and Flight Centre NZ managing director David Coombes says Qantas' long-term commitment to this market reflects the high value generated from a small population. Kiwis' love of travel is renowned, and as well as supporting a strong national carrier, has created an environment where an increasing number of international carriers view New Zealand as an attractive proposition. David Libeau, general manager, marketing for Helloworld, says an expanding Qantas could only be great news for Kiwi travellers. "Airlines need to generate a profit to invest in new products, routes and services and we are seeing this with Qantas." Or, as Joyce puts it, Qantas is now in a "sweet spot". Asked this year whether he had any plans to move on from that zone, Joyce, who doesn't have a fixed term contract, said he was keen on staying put. "I have always said if I'm enjoying it, if I have a lot more to deliver, if I have a lot more passion for the job, if the board and shareholders want me to continue, then I'll continue. "So I'm going to be here for some time. There are no plans to leave -there's more to complete." • Age: 50. Chief executive and managing director of Qantas since November 2008. • From 2003, founding chief executive of Jetstar for five years. Before his appointment at Jetstar, he spent over 15 years at Qantas, Ansett and Aer Lingus. • Chairman of the International Air Transport Association between July 2012 and June 2013. • In 2015 named Airline CEO of the Year by CAPA Centre for Aviation. • Second most influential gay business leader in the OUTstanding / Financial Times list of "Top 100 Leading LGBT Executives". • Director of the Business Council of Australia; Member of the Male Champions of Change; Ambassador for the Australian Indigenous Education Foundation NSW. • Bachelor of Science (Honours) in applied science (physics and mathematics); Master of Science in management science.